Our carefully designed curriculum is the platform from which students start their academic journey with us. In Year 7 and 8 we teach a balanced and broad range of subjects. 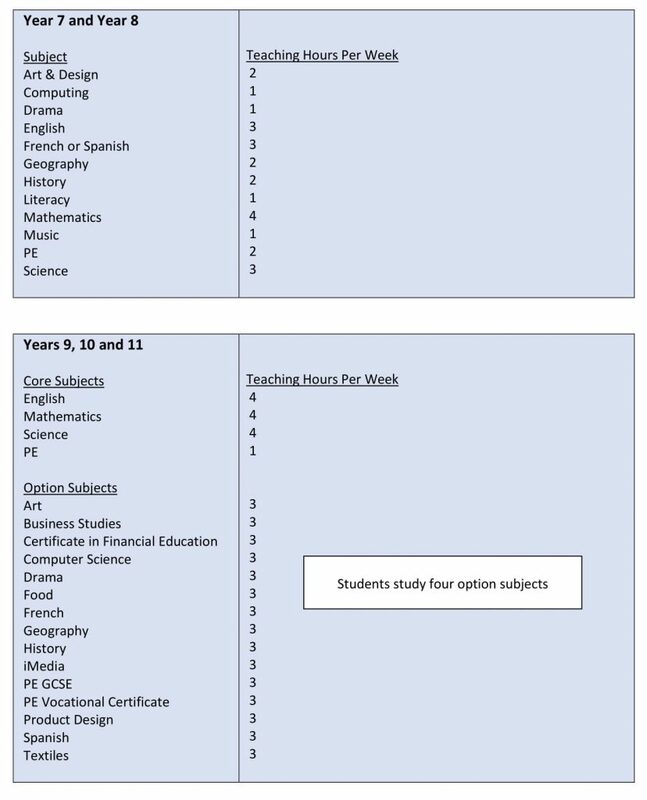 From Year 9 onwards students are able to shape their own learning programme by studying core subjects and their own chosen Option subjects.